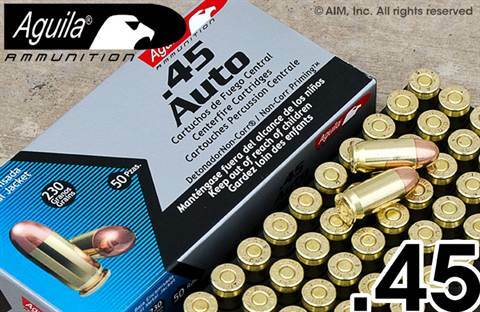 Details: New Aguila brand .45 Auto ammunition. Features a 230grn lead core full copper jacketed bullet, non-corrosive boxer primer and brass case. Packaged 50rds/box, and 20 boxes to a 1,000rd case. While supplies last.